Pay attention, my friends, this one is a little bit tricky. In his last movie, Dwayne “The Rock” Johnson played an avatar in a movie about a video game. In Rampage, he plays a human in a movie based on a video game, though in the video game, big in arcades in the 1980’s, it was the animals who were the avatars, and your task as player was to help them destroy the city while Johnson’s human character in the film is there to protect it. Well, maybe “human” does not adequately describe Johnson’s character, the primatologist/Special Forces veteran Davis Okoye, the essence of movie hero, always ready with his fists or a quip or both at the same time. And, you know, he looks like The Rock. 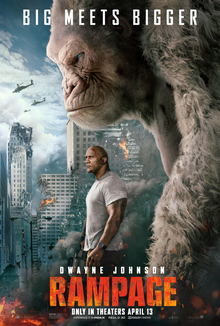 Okoye works at a San Diego animal preserve, where he is especially close to an albino gorilla named George. They communicate via sign language. And it’s all downright Edenic until George is hit with spray from one of three canisters of gene-altering material that “edit” his DNA to make him grow to King Kong size and make him furious, aggressive, and destructive. With the help of the beautiful scientist who developed the gene-editing juice, hoping to help humanity and not in any way aware that the evil corporation she was working for was planning to weaponize it. Naomie Harris plays Dr. Kate Caldwell, and Jake Lacy and Malin Akerman are the oh-so-evil brother and sister who run the corporation. Well, she’s evil; he’s way over his head. Then there’s Joe Manganiello as a mercenary hired by the evil sister, Jeffrey Dean Morgan as a FBI official with a Southern accent, and a walloping lot of CGI as the three monsters — those two other canisters — Okoye has to find a way to stop. And Dr. Kate lies to her boss on the phone, so we know that she is not a rule follower. Plus, we glimpse a photo in her apartment showing her hugging a cancer patient, so we know she is nice and probably bereaved. Morgan’s FBI character has a seen-it-all, heard-it-all look but a bit of a twinkle in his eye. And a homing device has the three giant, hungry, and very hostile animals going full-speed to Chicago. Does any of it make sense? Not really. Do we care? Not really. Just don’t think too hard about how long it would take for debris to fall from space, what condition it might be in, or how long it would take an antidote to work. 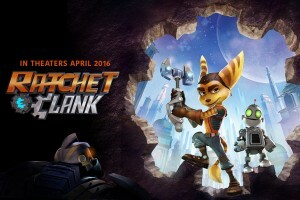 This is a movie based on an arcade game, and it is much better than most game-based films. In part that is because the game was from the 80’s and didn’t really have a storyline, so there was no risk of being too faithful or not faithful enough, and in part because it never takes itself too seriously. It takes the stunts and action seriously, though. There’s a wow of a plane crash and some good moments in the midst of a massive destruction of Chicago’s Loop. And George (motion capture actor Jason Liles) is, if not realistic, believable. Johnson is right in his sweet spot here, and so are we, with a popcorn treat to kick off the summer season. Parents should know that this film includes extended peril and action-style violence with chases, explosions, guns, bombs, monsters, many human and animal characters injured and killed, some graphic and disturbing images, some strong language, and some crude humor. A video game needs just enough narrative to add some stakes to the challenges. We care more about getting the avatar from A to B if there is a reason — a treasure, escaping the bad guys, revenge. And the action scenes need just enough complexity to hold our interest. The “reason” equivalent is our own skill and seeing if we can do better than an opponent or better than our last attempt. But a movie needs a story and characters and dialog that have to be familiar enough to be believable and new enough to hold our interest. And that is why it is much harder to translate a game to the big screen than it is a book or a play. And that is also why so far none of the attempts to do so have worked very well. 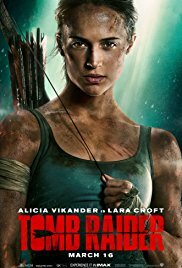 It may be tough to get a video game avatar over a chasm or through a labyrinth, but it is even tougher to make her into a movie star, even when she is as appealing a character as adventurer Lara Croft. The good news is that this reboot stars Oscar-winner Alicia Vikander, a less remote, more real version of the character first played on screen by Angelina Jolie in two earlier “Tomb Raider” films, and by a bunch of pixels in a video game series. While the game version was idealized and the Jolie version was similarly polished, curvy, and near-all-powerful, swinging (literally) through her fabulous manor and ordering around her Alfred-like nerd-of-all-trades, this Lara is a little bit vulnerable and a little bit lost. We first see her losing a boxing match, forced to tap out before she loses consciousness in a choke hold. Because she will not sign papers declaring that her father is dead, though he has been missing for seven years, she cannot access his fortune or that fabulous manor. Lord Richard Croft (Dominic West) loves his daughter (though he calls her “Sprout,” a truly awful nickname). But devastated by the loss of his wife, he has spent most of his time away from Lara as he seeks some way to connect to the supernatural. He disappeared on an expedition to a remote island where the legend has it that an Egyptian queen with powers of life and death is entombed. Since the movie is called “Tomb Raider,” you know where this is going. And you also know that who cares about the story, this is about the chases and stunts. There’s a good chase on a bicycle “fox hunt.” And there’s a great stunt in the middle of the film involving a rusted-out crashed plane stuck on a branch over a waterfall. Walt Goggins is a nicely creepy bad guy. But once they actually make it inside the tomb it gets too game-ish, and by the time it hints at another chapter, well, it’s game over. Family discussion: Why wouldn’t Lara sign the papers? How did growing up without a father influence her choices? 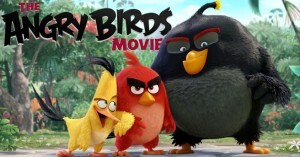 Like the wildly addictive Finnish app/game/toys that inspired it, the Angry Birds movie is colorful, with some silly humor and imaginative settings. And like the many, many attempts to make games into movies that have gone before it, this one has strong visuals, game talent, and yet never quite sustains itself as a story. 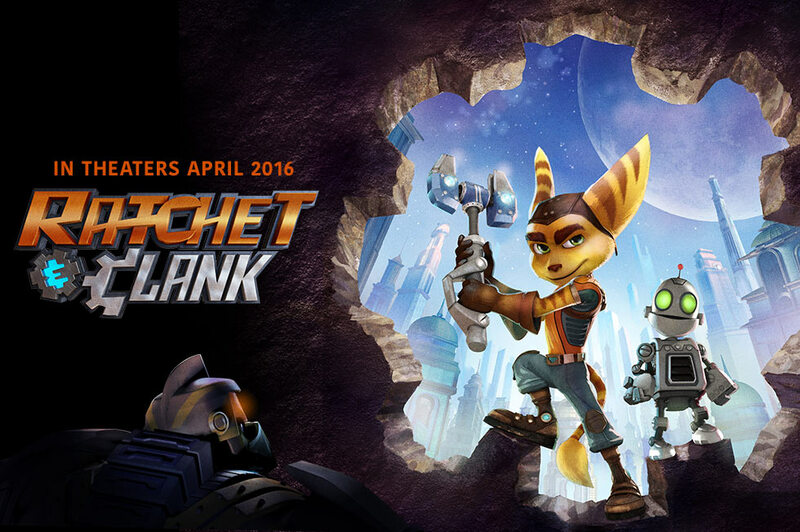 It’s a rare movie for kids that endorses legitimate anger, but in these touchy times, it is peculiarly xenophobic. Bird island is something of a flightless bird sanctuary, with no predators and a mostly happy, companionable community. Red (a perfectly cast Jason Sudeikis) is a bright red bird with Eugene Levy eyebrows, a tendency to defensiveness and snark, and a serious anger management problem. Red is late to a “hatch-day” party he was supposed to work at as an entertainer. He insults the young bird’s parents and is accidentally standing in the wrong place when their new chick hatches, so that the baby imprints on Red instead of his parents. Red has an angry outburst leading to a court appearance presided over by Judge Peckinpah (Keegan-Michael Key), who sentences him to anger management classes conducted by the New Age-y Matilda (Maya Rudolph), where his classmates include the explosive Bomb (Danny McBride) and excitable Chuck (Josh Gad). A ship arrives at Bird Island, carrying a cheerful pig named Leonard (Bill Hader), who oozes charm and promises friendship and merriment. He even puts on a show, in order to both pad and juice up the storyline. Red is skeptical, but he is always skeptical. The other birds embrace their new friend, even after Red tells them Leonard has lied about coming alone. He has lied about his purpose, too. The pigs want the eggs. And…now the game part comes in: the birds need to get angry so they can get the eggs back. The whole part about foreigners/those different from us being evil and scary and wanting to eat our progeny, that’s pretty much glossed over as all in good fun, mingled with shout-outs to The Eagles (get it) and Rick Astley (because why not; it’s an easy laugh). The birds have a possibly mythical leader, Mighty Eagle, the only bird on the island who can fly. Red, Bomb, and Chuck ascend to ME’s aerie and find that he is not as heroic as they hoped. If anyone is going to save the day, it will be the intrepid trio themselves. They have to find a way to get to the pigs’ island and get the eggs back. It’s all bright and cheerful, but under-plotted and overproduced. Stunt-casting Oscar winner Sean Penn for a few grunts, throwing in pop songs and faux swearing to amuse the parents and bird poop humor to amuse the kids left me feeling a bit angry myself. Parents should know that this film includes a lot of cartoon-style action and peril, with no serious injuries, some schoolyard language, and some bodily function/gross-out/crotch hit humor. Family discussion: When is it helpful to be angry? How can you make the best use of anger? You think only the Avengers can mix it up?